This Sign Supply Greets Customers Before they Enter Your Doors! Buy Wholesale Sign Supplies Online Now! 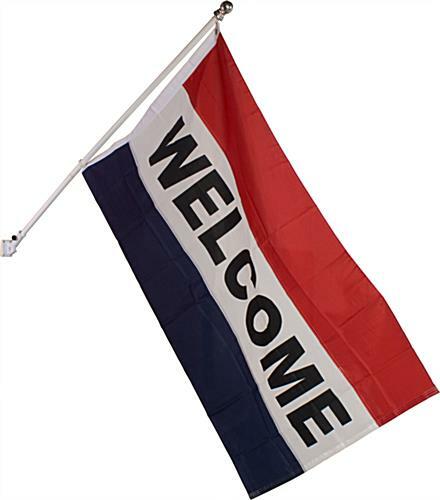 The sign supply, welcome flag, comes with an adaptable wall mount for changing the angle of these exhibited communication flag. In truth, the mount easily adapts from 0° to 90° in seconds! This outside banner equipment, sign supply has (2) brass grommets for fastening its communication flag to the aluminum pole's aluminum snaps. 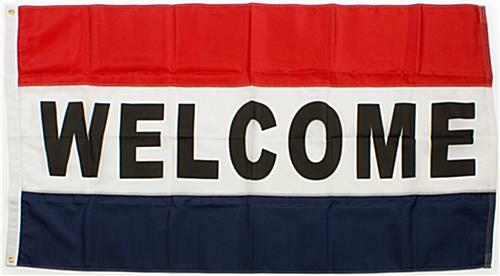 We offer the sign supply with a 1/4" diameter washer to ensure your welcome banner remains safely affixed to the pole. The sign supply, also recognized as a communication flag, has a flag measuring 5'2"w x 3'h, which is the perfect size for locating by a doorway or roadway in any business, including a strip mall. 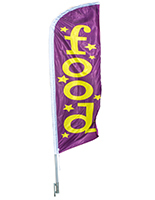 The flag will draw attention towards your business, yet won't overshadow other ads or business logos. Buy these quality sign supplies online and save with wholesale pricing! This sign supply is meant for positioning near a company, shop or residence to welcome individuals. 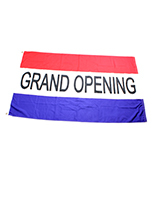 The 5'2"w x 3'h banner, sign supply consists of (1) nylon flag, (1) aluminum flagpole and an adaptable mount. We also provide the sign supply with (4) screws for effortlessly affixing an outside banner to any kind of surface area. 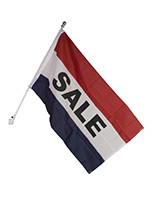 This sign supply, as well as most communication flags, features a red, white and blue striped color plan, a common design that attracts attention. Wholesale sign supplies online are available here with same day shipping!